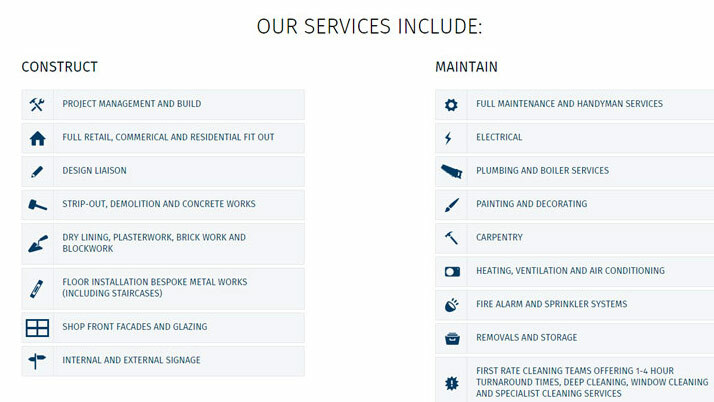 WA Construct are London's premier building and maintenance company. 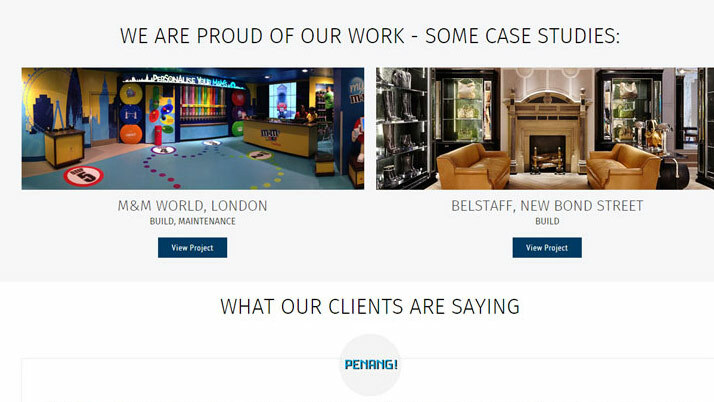 They specialise in high-end fit outs and around the clock services for a wide range of clients. 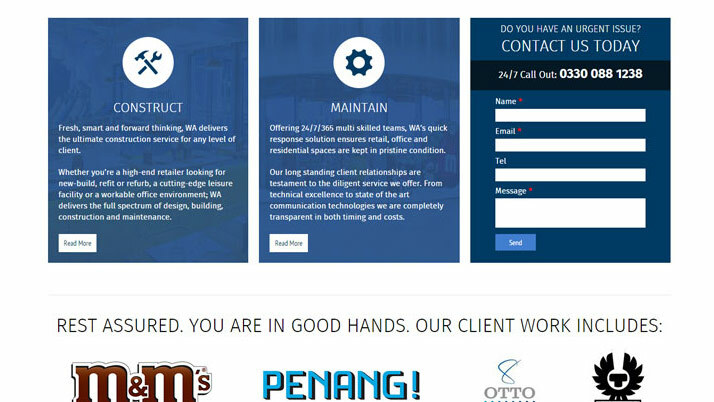 They approached us to design and build a website which showcased their brand to the fullest potential. 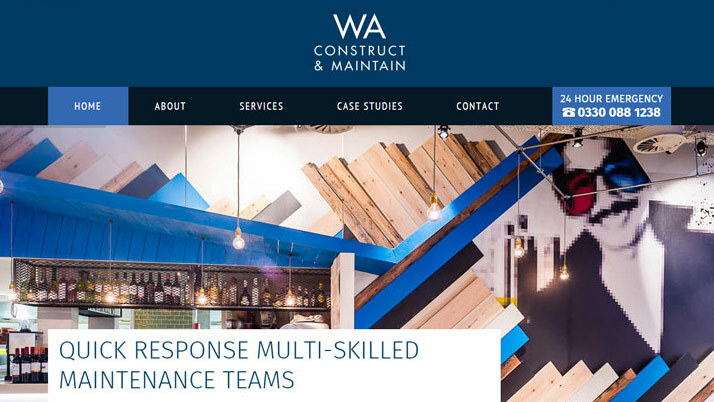 After designing the logo and brand, we created the bespoke website design, which we then converted into a custom Wordpress CMS theme. We designed custom icons to represent each service and used high resolution image galleries. The client was incredibly happy with the end result. 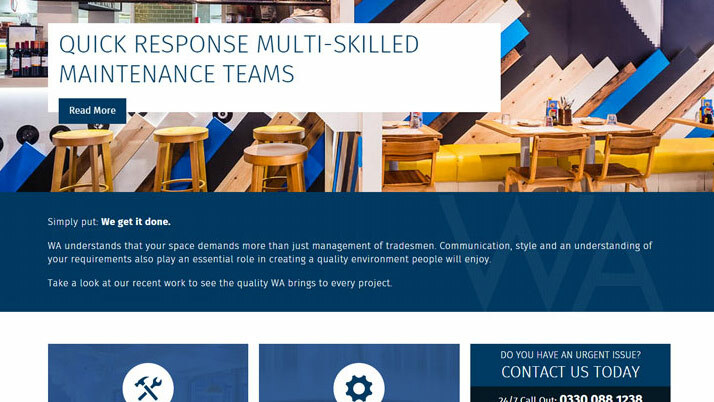 Launching the new website offered a substantial boost to their sales and marketing strategy, allowing them to compete with the big players in the London construction and maintenance industries. We love our site. 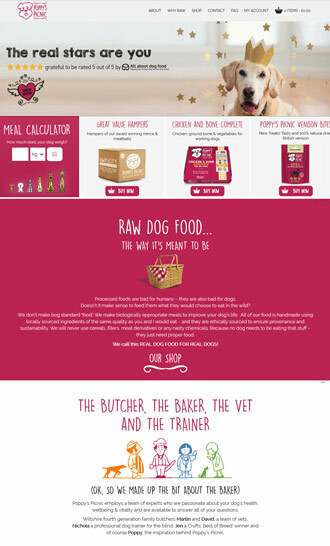 Red 13 nailed the brief of making our site more modern than our competitors. Awesome!